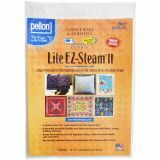 Pellon EZ-Steam II Lite - PELLON-EZ Steam II Lite Sheets. This is an innovative fusible web that is extremely versatile in its ability to bond fabrics and other materials without sewing. It has pressure sensitive adhesive on each side to temporarily hold both materials in place before creating a permanent bond through fusing. Easy to use with fabric, paper, batting, ribbon, lace, foam, and other lightweight materials. 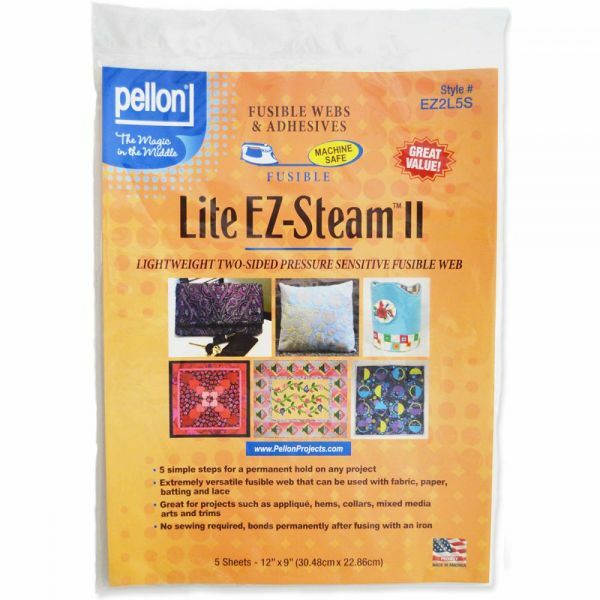 This package contains five 12x9 inch sheets of EZ Steam. Color: White. Made in USA.